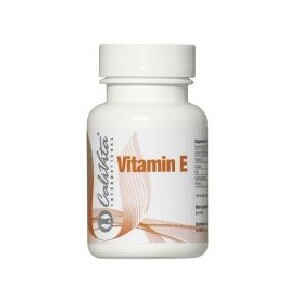 Vitamin E, which is also referred to as the vitamin of eternal youth, has several benefial effects on the whole body. It protects valuable fatty acids from the free radicals that damage them (so it is a powerful antioxidant), thus it contributes to keeping our cells, skin, nervous and circulatory systems healthy and young. athletes for proper muscle development and to increase muscle performance. Symptoms of vitamin E deficiency may include: eye diseases (e.g. impaired perfusion of the retina), bone development disorders, decreased sexual function or, in more serious cases, nerve and muscle damage that result in weaker muscular strength. that combined with omega-3, vitamin E contributes to normal brain function, while vitamin E in itself protects omega-3 fatty acids from oxidation, for example EPA and DHA found in fish oil? Dosage: 1 gel capsule daily. Due to the slight blood thinning effect of vitamin E, those taking anticoagulants should seek their physician’s advice before applying the product.